When M and I started brainstorming the style and theme of our new home, we both quickly agreed on a Parisian inspired look and feel. There's just something so classic yet versatile about incorporating brass elements with vintage pieces juxtaposed with unexpected splashes of color and modern vibes. I knew it going to be a long road ahead to building a list of interior pieces so I decided to tackle the biggest room first-the living room. With the help of our friend and fab interior designer Peti Lau, we came up with a list of five must-have items as the building blocks for our Parisian living room. 1. We didn't want to clutter the room with furniture but also wanted to make sure brass elements served as visual centerpieces. 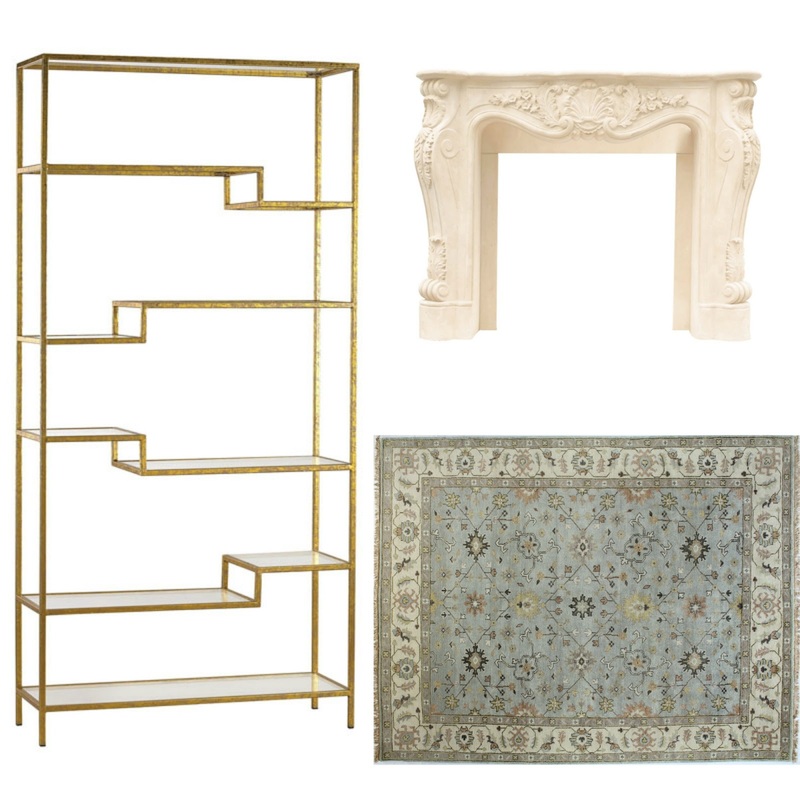 This Lulu & Georgia Nadija brass etagere is a great design piece and great for displaying decor like vases and tchotchkes. 2. The house came with a 1970s dumpy brick fireplace, an eyesore that was hard to ignore. So I replaced it with a gorgeous Louis XIII cast stone fireplace mantel from ATGStores. It instantly brightened up the room and grounded it in elegance. I love the cast stone material which really breathes authenticity and sets it apart from other fireplaces. 3. I think a high quality Persian rug is important for an entryway space like the living room. I ended up getting this one from Wayfair as the color perfect ties together the room. Rugs are definitely good investment pieces as it's high visibility, high wearability, and a good ones will probably outlive you. 4. 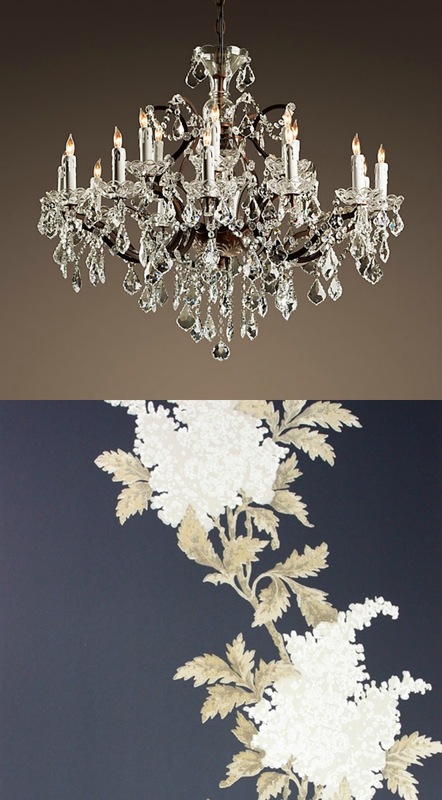 M actually picked out the 19th Century Restoration Hardware Rococo chandelier! It looks quite amazing underneath our vaulted ceiling and perfectly compliments the fireplace. I like the rustic iron look as it's not too flashy or gilded. 5. The idea of wallpaper in our living room never crossed my mind until Peti showed me this Nina Campbell wallcovering from Osborne & Little. Wallpaper have come a long way since its acrylic looking nonsense in the 60s and 70s and we've decided to use this wallcovering as accent on one of the walls utilizing it more as artwork than wallpaper!